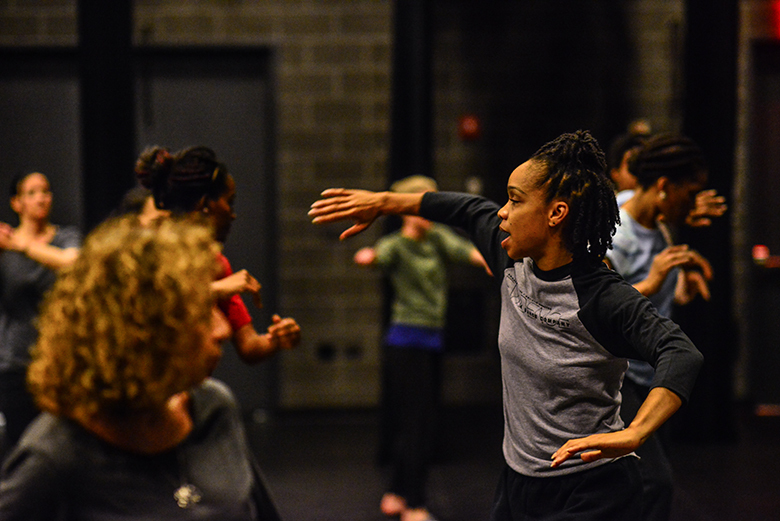 All ages and skill levels are welcome for a series of Community Dance Classes led by Ronald K. Brown / EVIDENCE, A Dance Company. Evidence blends traditional African dance with contemporary choreography and spoken word, providing a unique view of human struggles, tragedies, and triumphs. These Community Classes, accessible for all ages and skill levels, are rooted in the Company’s fusion aesthetic and are the perfect alternative to another boring day at the gym. No previous experience necessary. Evidence now tours to some 25 communities in the United States and abroad. The company has traveled to Cuba, Brazil, England, France, Greece, Hungary, Ireland, Mexico, Senegal, Nigeria, South Africa, and Canada to perform, teach master classes, and conduct lecture/demonstrations for individuals of all ages. Evidence brings arts education and cultural connections to local communities that have historically lacked these experiences. Annually the company reaches an audience of more than 25,000.